After a wrongful death case has been filed in court, it will often require the assistance of expert testimony to help the attorney prove one or more elements of the action. Since wrongful death cases can involve many different issues that are often complex and difficult to prove, an experienced wrongful death attorney will usually want to engage the assistance of one or more experts early on in the case. Sometimes, the success of a wrongful death case will hinge on the credibility and/or knowledge of the experts involved. This is why it is extremely important that the attorney have substantial experience in handling wrongful death cases, as well as having the knowledge of the different types of experts that may be necessary to achieve a successful result. There are many different types of experts that can be used in a wrongful death action. Generally, experts can fall into three classifications in the wrongful death case: (1) liability experts, (2) causation experts, and (3) damages experts. Let’s start with the first category, liability experts. Certain experts may be necessary to help prove that the defendant was responsible for the incident which caused the person’s death. There are numerous examples of different types of experts who may help prove the defendant’s liability or negligence. Usually, the person's field of expertise will depend on the circumstances that lead to the accident that caused death. Examples of liability experts may include those in the fields of accident reconstruction, engineering, biomechanical engineering, medicine, physics, or metallurgy. Take the case of a motor vehicle accident which caused another person’s death. If there is a dispute about who caused the accident, the wrongful death attorney may wish to hire an accident reconstruction expert to review the facts and circumstances of the collision and then offer an opinion about exactly how the accident occurred. This expert will usually want to visit the scene of the accident, take measurements and photographs, and collect any other evidence to help determine how the accident happened. Sometimes, an expert witness is legally necessary to establish liability or negligence in the wrongful death case. This is true for medical malpractice cases. Washington law requires that a medical expert is necessary to prove that the deceased’s physician violated the standard of care in some fashion, which in turn led to that patient’s death. Sometimes, there is a dispute about how the deceased actually died. Often, but not always, this dispute arises in the medical negligence or malpractice case. For example, the deceased may have had other medical conditions or injuries that conceivably could have caused the death. However, Washington law requires that the medical negligence be a “proximate cause” of the person’s death. In that situation, a medical expert, like a pathologist or coroner, may be necessary to establish the cause of death. This is when another autopsy or forensic examination of the body may be necessary. One frequent use of experts in a wrongful death case is to address the issue of damages. There may be several different types or classification of damages that may be sought in the wrongful death case, depending on the facts of the case and the legal issues involved. An experienced wrongful death lawyer will hire the best experts to help uncover and explain certain evidence, which in turn increases the likelihood of a successful result. Generally, the classification of damages experts may fall into two categories: (1) economic damage experts and (2) non-economic damage experts. The term “economic damages” refer to those hard or tangible damages that are usually easier to calculate, like lost wages, medical expenses, future income loss, or lost net accumulations to the deceased’s estate. One of the most common types of damages requested in a wrongful death case is a claim for the deceased’s future lost earnings, or the future net lost accumulations to the person’s estate. A vocational expert may be necessary to help establish the deceased’s lost income and/or future occupational advancement opportunities. An economist or accountant may be necessary to calculate the present value of the future lost earnings based on the deceased’s occupation at the time of death, anticipated future promotions, and the person’s savings and consumption rate. When using experts to calculate economic damages, it is often important to involve the expert early on in the case and it is also important to furnish the expert with all of the necessary documentation required for him/her to form an opinion. For instance, when calculating future lost earnings, the expert may need to review several different types of records involving employment, tax, educational, medical, bank, insurance, or other financial documents. The second category of damages consists of “non-economic damages” and refers to those subjective or intangible losses that are usually more difficult to quantify. They include pain, suffering, grief, and the loss of the deceased’s love, society, companionship, and affection. Thus, it is often wise to retain one or more experts to address or discuss these types of damages to a jury. Take the case involving the wrongful death of a child. The parents will likely suffer a substantial amount of psychological distress and suffering. In this situation, it may be beneficial to use a psychological expert, like a psychiatrist, psychologist, or mental health therapist, to discuss the parents’ loss of their child. There may be long-term emotional issues that surviving parents and children may face as a result of losing a loved one prematurely. Thus, using an expert to discuss, explain, and highlight these losses may be very helpful to explaining the parents’ loss to the jury. Another category of damages may include the deceased’s pre-death pain and suffering. Remember that Washington law permits the estate to recover damages for the deceased’s pre-death pain and suffering. If there is a dispute over whether the deceased did experience pain or fear right before death, then a medical or psychological expert may be useful to establish this fact. Oftentimes, the choice of an expert is a very important factor that can have a huge influence on the success of the wrongful death case. Sometimes, the distinguished academic and professional credentials of the expert are extremely important. Other times, the ability of the expert to teach and explain the particular field of expertise to a jury or lay person may be valued more highly than the particular expert’s academic credentials or success. Choosing which particular expert will work best is usually a judgment call by the wrongful death attorney and should be based on the specific needs of the case. Wrongful death attorneys must also be mindful of the expense of hiring and using experts, which can be considerable and cost many thousands of dollars. Thus, there has to be a real need for the expert in order to engage one for a case. The economics of the case must also justify the expense of using experts. Above all else, the attorney must choose experts carefully and use them only to highlight or explain certain issues in the case. Sometimes, there may only be a few qualified well-regarded experts in a particular field of study, so an experienced wrongful death attorney may wish to retain one or more of these experts immediately, before the defense attorney can do so. Again, the unique facts and circumstances of the case will often dictate which type of expert to use and how many experts will be necessary in the case. Because experts are a critical component in a successful wrongful death case, it is usually beneficial to retain an experienced wrongful death attorney early on so there is sufficient time to locate, hire, and brief each expert who may be necessary to support the merits of the case. 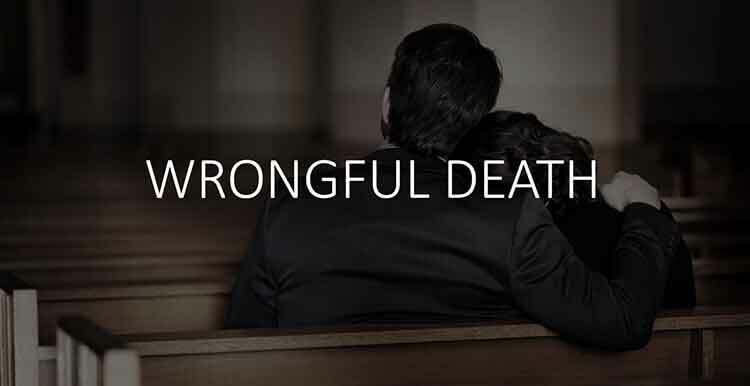 If you or a loved one has lost a family member due to the negligent actions of another party or entity, it may be in your best interests to consult with an experienced wrongful death attorney about the merits of your case. The award-winning attorneys at Davis Law Group will review your wrongful death case for free and help you determine if hiring a lawyer can improve the chances of a successful resolution to the case. We will meet with you for a free legal consultation if we believe that we can help, so call our office in Seattle at (206) 727-4000 or use the confidential contact form on this page for a free case review and to learn more about your legal rights.